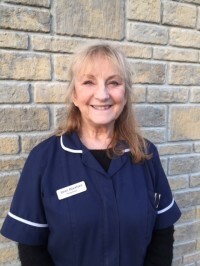 Jane is the practice principal and has been in Calne for 16 years. Jane has a special interest in feline medicine and surgery. Jane has two dogs and a cat. 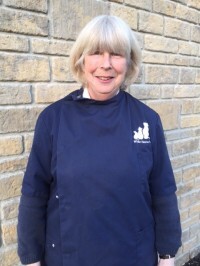 Jane works at both our Calne and Lyneham branches. She enjoys gardening in her spare time and you can see her efforts in the Calne car park which look particularly pretty in the summer. Trixie Williams started the business in a little cottage in Bradenstoke many years ago. She has since specialised in alternative medicine, homeopathy and acupuncture. She lives on a farm and enjoys riding her horses in her spare time. She mainly works in our Lyneham branch. Denii joined our team back in December 2015 after moving from Surrey to Wiltshire. 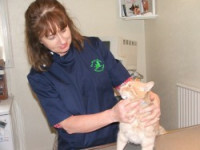 Denii qualified in 2006 and has gained a variety of skills from different veterinary practices. Denii works with us part time and along side nursing Denii deals with our insurance claims. In her spare time Denii enjoys spending time with her family and friends. Denii has a little rescue dog called Widget. Charley joined out team in September 2016 after relocating to Wiltshire in 2013. 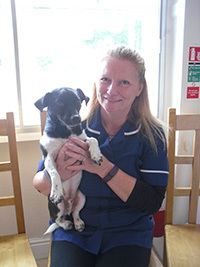 Charley has been working in a veterinary practice since 1999 and qualified as a veterinary nurse in 2003. 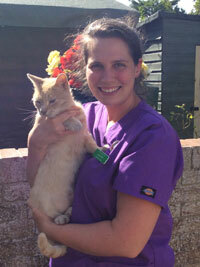 Charley has a keen interest in feline medicine, particularly diabetes and renal disease. In her spare time Charley enjoys time with her family and her cat Rudy. Lizzie started working for us in June 2018. 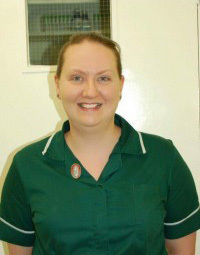 Before joining our team she was working in a practice in Marlborough for 7 years. She qualified as a veterinary nurse in August 2017. Lizzie and her partner have just bought a house locally that they are renovating. She likes to spend her spare time with her two dogs, Maggie the Labrador and Daz the Collie. We are very happy to have her on our team. Carrie joined us in February this year. 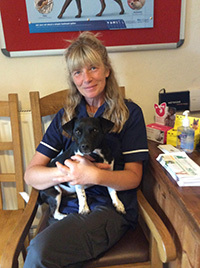 Carrie has worked in a veterinary practice for 28 years and has gained a wealth of experience. Carrie is a devoted animal lover with 5 horses, 5 dogs and a cat! In Carrie's spare time she enjoys riding Vincent her horse and taking her dogs for long walks. Janet has worked for us since November 2015 and works at our Lyneham Branch. Janet has three cats who are Tipsy a mischievous 18month old feral female who is learning how to blend in with Soldier who is a 14 year old tabby boy. Janet also has Purdey who is a 3 year old white and grey Persian. Mandy Shine relocated to Wiltshire in late 2017. 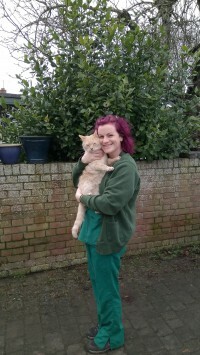 She worked in a veterinary practice in Hertfordshire for 6 years before moving to our area and joining our team. She is a very experinced horse owner and enjoys spending time riding her horse CJ and walking her two dogs Barney the whippet and Tilly the cockapoo. We are delighted to have her on our team.